In our third straight year of a record breaking drought, bud break began early due to the lack of groundwater available for the vines. High winds during flowering, in combination with drought, reduced the amount of crop / fruit set. However, the rest of the growing season was warm and even, allowing us to carefully harvest at ideal time frames. As yields were slightly down, quality remained incredible, potentially surpassing the last 2 vintages. The August 4th start of harvest in the Santa Cruz Mountains was the earliest in the 70 years of recorded history at Mount Eden. 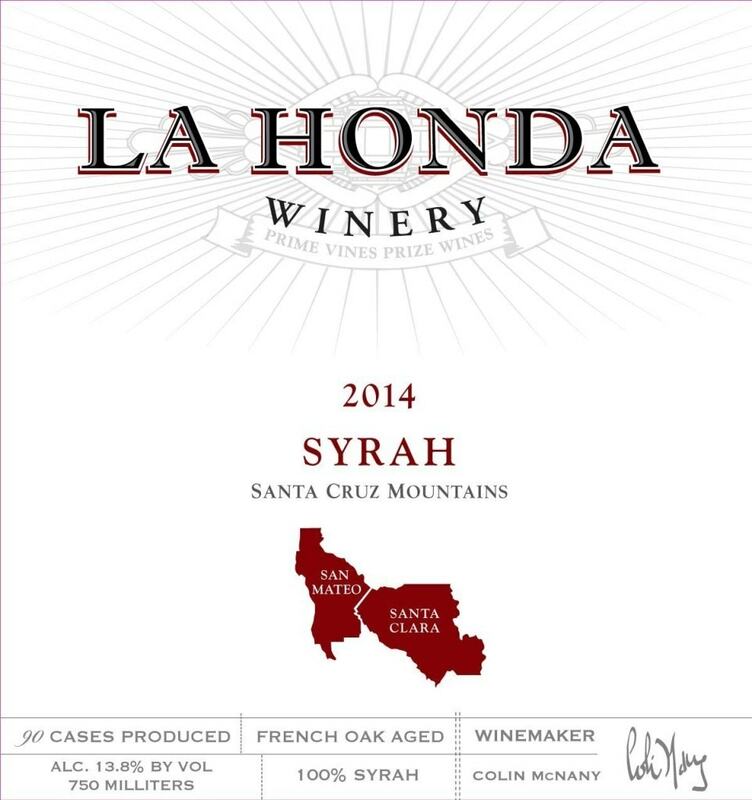 Our first production of 100% Syrah. A single 1 acre vineyard plot sits up in Los Altos Hills, with an incredible South-East exposure. A third of the ferment was left whole cluster, tipped into the bottom of a 5 ton open top tank, to be covered with rest of destemmed berries. This method of whole cluster fermentation brings forth more baking spice and structure to the finished wine. Fermentation temperatures peaked at 98 degrees, filling the winery with aromatics of pure hot chocolate. The wine sat on skins for 21 days, in which was then pressed off into french oak barrels, 15% new. Rack once to bottle, unfined and unfiltered. Wild blackberries, salty dark chocolate and elements of roasted marshmellow are perplexing us in how a wine can be so savory, salty and sweet at the same time.